Henry Little worked in the conservation field for 38 years, with The Nature Conservancy and The Conservation Fund. Initially working in San Francisco as Western Field Representative and then as Western Regional Director between 1972 and 1981, he oversaw all of the Conservancy’s activities in 13 Western states, including the development of state programs and the acquisition of large properties. From 1981 until 1984, Henry lived in Honolulu where he established the Conservancy’s Hawaii State Program. In 1983 Henry was awarded the Gulf Oil Company Conservation Award for his work in Hawaii. Moving in late 1984 to Washington, DC, to serve as Deputy Director and then Program Director for the Conservancy’s fledgling International Program, he was instrumental in establishing Conservancy-supported programs and partner organizations in Panama, Colombia, Venezuela and Mexico throughout the 1980s. After working briefly on state program development for the Conservancy’s Eastern Region in the early 1990s, Henry left the Conservancy in 1994 to join The Conservation Fund, where he oversaw a variety of projects and programs, including the Fund’s Tradelands Gift Program and the establishment of the Genesee Valley Greenway in upstate New York. Henry’s latest move, in 1997, led him back to San Francisco and to the Conservancy, as Director of Conservation Programs for California, a position he held until 2001. For the following decade, until his retirement at yearend 2010 from the Conservancy, Henry directed a number of large, landscape-scale conservation projects, including the establishment of the CA-NV Joint Venture, the Northern Sierra Project, and the Klamath River Project. Henry currently is a partner and consultant with Applied Conservation, through which he provides both pro bono and fee-for-service assistance to land trusts and private landowners. Henry has an MBA from the University of Pennsylvania’s Wharton School and an AB in history from Hamilton College. Between college and graduate school, Henry served in the U.S. Army from 1966 until 1969, during which time he was awarded the Bronze Star for Valor and a Purple Heart as a combat infantry officer in Vietnam. In 2010 Henry was awarded the Streamkeepers Award by California Trout for his work on the McCloud and Shasta Rivers. In 2011 the California Chapter of the American Society of Farm Managers and Rural Appraisers awarded Henry with its Agricultural Stewardship Award for pioneering ranching friendly stream restoration measures on the Shasta River. 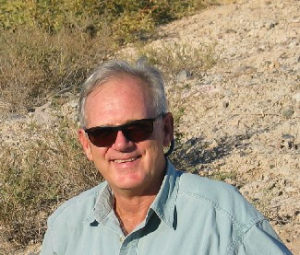 Henry currently serves on the Board of Directors of the Western Rivers Conservancy. Currently Henry is the volunteer lead for the Project Healing Waters Fly Fishing’s San Francisco Program, which he launched in early 2017. PHWFF is a national organization which helps disabled veterans with their rehabilitation through engaging them in fly fishing-related activities such as fly casting, fly tying, rod building, and outings to rivers and lakes. Henry was a co-author of Protecting endangered forest birds in Hawaii: The development of a conservation strategy; Scott, J.M., C.B. Kepler, P. Stine, H. Little, and K. Taketa. 1987. Trans. 52nd N. A. Wildl. and Nat. Resource Conference, pp. 348-363.